EPSNews takes a look at the top 10 stories of 2017 as we head into the new year. 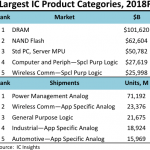 What we’ve found is that many of the most popular articles this year focused on component shortages and pricing trends, particularly for memory devices. This is not surprising considering that the electronics components industry faced tight supply and even allocation throughout the year. The top 10 articles are based on the highest page views in 2017. 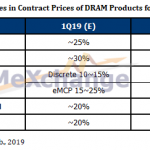 Two of the biggest issues for electronics components buyers are pricing and availability. Purchasers spend a high percentage of their time each week price shopping for commodity devices and solving logistics and inventory challenges. And it’s been a particularly tough year for buyers. In 2017, buyers have faced tight supplies of passive components, power and discrete semiconductors and memory devices. 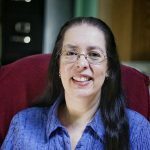 Lead times for passives – capacitors, resistors and inductors – in some cases have stretched as far out as 52 weeks, which we can safely say is in allocation territory. 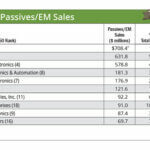 Lead times for many of these devices, including automotive-grade resistors, chip resistors, tantalum capacitors, aluminum capacitors and MLCCs have surpassed 20 weeks at some point during the year. Even connector products experienced extended lead times. Typically, component suppliers will ramp up production capacity when there are shortages and tight supply but this did not happen in 2017. Many held back on ramping up for several reasons. Some were concerned about how long demand would last; others were afraid of double ordering. One big reason cited is that many suppliers decided to put more resources into newer products and take the opportunity to discontinue older parts, which caused some additional tightness of supply for older legacy devices. 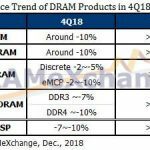 However, possibly the biggest headache in the supply chain this year was tight supply and rising prices of memory devices, particularly DRAMs. The market faced some big challenges during the year ranging from constrained supply due to a lack of capacity expansion and yield issues with newer processes. Average selling prices (ASPs) for DRAMs rose by nearly 80 percent this year. 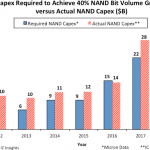 NAND flash also saw prices rise by nearly 40 percent. 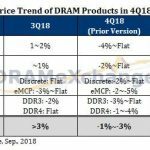 IC Insights forecasts the DRAM market will grow by 74 percent this year, marking only the fourth time since 1993 that the market has increased by more than 50 percent. Here are the top 10 most popular articles of 2017. Enjoy!